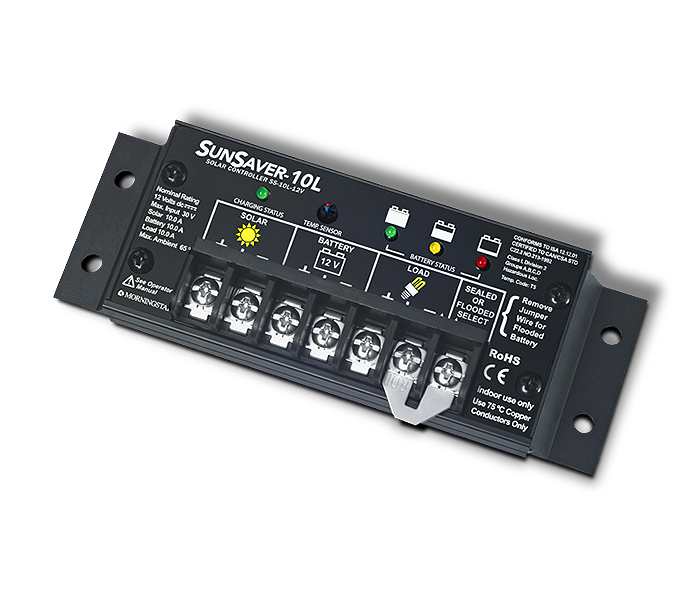 Click the button below to add the Morningstar SunSaver SS-10L-24 10A 24VDC PWM Solar Controller to your wish list. 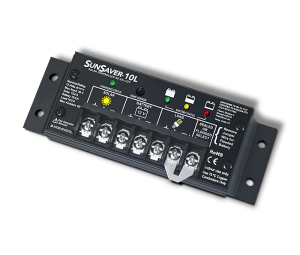 Morningstar SunSaver 10 amp,24 vdc charge controller with low voltage disconnect and temperature compensation. Morningstar's SunSaver is the world's leading small solar controller for both professional and consumer applications. Sunsaver's Technology provides: Exceptional Reliability, PWM Battery Charging, and Consistent High Quality.